Delaware Theatre Company is proud to present Becky Mode’s Fully Committed. Awarded the title “funniest play I’ve ever seen” by many theatre goers, this play is bound to leave you side-split and snorting. 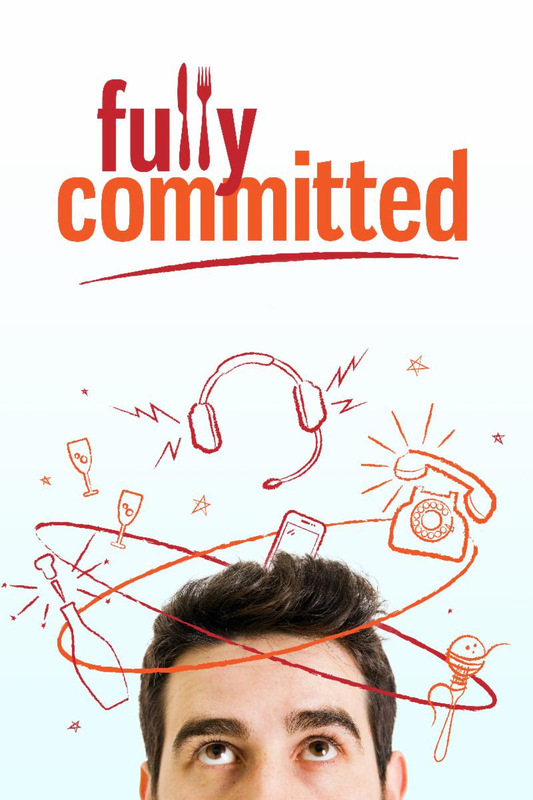 Fully Committed runs October 17 – November 4. This devastatingly funny show follows a day in the life of Sam Peliczowski, an out-of-work actor who mans the red-hot reservation line at Manhattan’s number-one restaurant. Coercion, threats, bribes, histrionics—a cast of desperate callers will stop at nothing in their zeal to land a prime reservation, or the right table. Amid the barrage, Sam’s got his own needs to contend with. While juggling scheming socialites, name-dropping wannabes, ﬁckle celebrities, and egomaniacal bosses, can he manage to look out for himself? Dirk Durosette’s set design brings layers of movement and obstacles for our actor. Costume designer Janus Stefanowicz provides the key to helping audiences sort through those 40 characters, while Lilly Fossner’s lighting design puts the finishing touches on the show’s chaos. Finally, Toby Pettit’s sound design brings a cacophony of ringtones, beeps, and boops to the stage – but you’ll still have to silence your cell phone. Performances are held on Delaware Theatre Company’s stage, located at 200 Water Street in Wilmington, DE, just feet from the beautiful Riverfront. Fully Committed runs October 17 – November 4, 2018. Tickets are on sale now starting at $25 and can be purchased online at DelawareTheatre.org or by calling the Box Office at (302)594-1100. Press Opening is on October 20, 2018 at 8pm. Reservations can be made by contacting Carolina Millard, Marketing & Patron Experience Manager at (302)504-3452 orcmillard@delawaretheatre.org. Institutional Summary: Currently in our 40th season, Delaware Theatre Company (DTC) is Delaware’s premier non-profit professional theatre. Recognized as a cornerstone in the Brandywine Valley’s rich cultural landscape, DTC has produced nearly 200 plays for over one million residents and visitors in its community. For more than two decades, DTC has been a pioneer in the revitalization of Wilmington’s Christina Riverfront and cultural district as the only LORT theatre in the state. Since Bud Martin’s arrival in 2012, DTC has seen a 54% increase in subscribers and a 234% increase in single ticket buyers, making Delaware Theatre Company an up and coming player in the regional theatre community.